Mathematics is the engine behind Science in the 21st Century. It has both an inherent logic and beauty while also providing the structure and models from which physicists, chemists, biologists, medics, engineers, economists and social scientists build an understanding of our world and construct the tools to improve our lives. 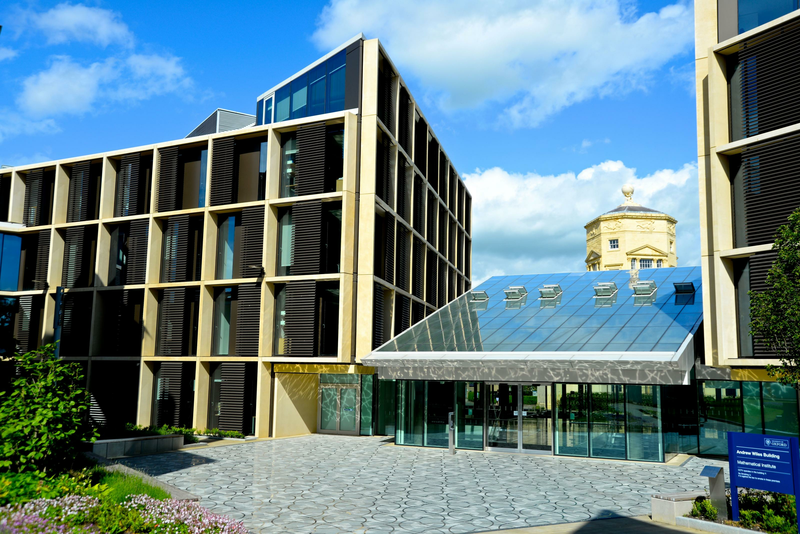 Mathematics in Oxford embraces this power and diversity by combining its pure and applied mathematicians in one department and one building, ensuring collaborations both within and beyond Oxford. We have over 850 undergraduates, more than 350 masters and doctoral postgraduate students, and over 200 academic staff (faculty, research fellows and postdoctoral researchers) studying and working across all fields of mathematics from Number Theory to understanding the mechanics of the human brain. The current Head of Department is Mike Giles. We have a diverse department membership from many different locations around the world. Please contact us for feedback and comments about this page. Last update on 15 April 2019 - 14:47. From Roger Bacon in the thirteenth century to Roger Penrose in the twenty-first, Oxford has been critical to the development of mathematics. Mathematics is embedded in many aspects of the design and function of our new building from the Penrose Tiling at the entrance to the crystals in our Atria. We would be delighted to show you round. Mathematics is central to science and society, embedded in every discipline and every industry. We are very grateful for the support and resources we receive that enable us to maintain and grow our activities. With a large variety of rooms and lecture halls, we can provide the perfect venue for your events. Please contact us for feedback and comments about this page. Last update on 5 March 2018 - 14:53.